Fire is a dangerous threat to the people who are important to your business, and your property. 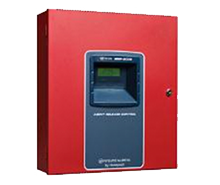 Our 24 hour monitoring and nearly instantaneous notification, are a critical part of any fire system. 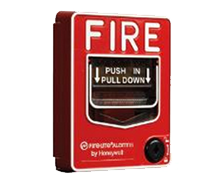 A Fire System with Piedmont Security Systems can easily be integrated with your intrusion detection and access control systems to provide you with a fully equipped system. 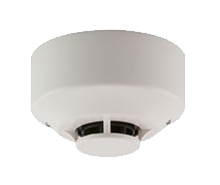 Piedmont Security Systems offers a broad portfolio of products and systems for accurate, reliable fire detection and notification. Our systems provide precise, life-saving information at critical moments and are relied upon to help protect office buildings, warehouses, lodging establishments, educational facilities, retail stores, and many other types of facilities throughout North America. From design to installation, at Piedmont Security Systems we do it all! 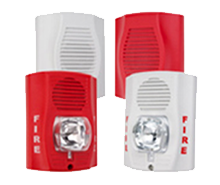 We offer complete fire packages, customized for your industry needs. Return to security services overview. The Communicator supervises the connection to the central station every 90 seconds, providing faster detection of a connection fault and saves the cost of dedicated redundant phone lines. 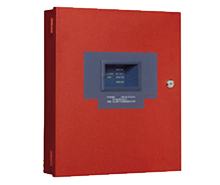 With two-zone, four-zone, five-zone and ten-zone configurations, our Control Panels offer a variety of options to meet local, state and national requirements. 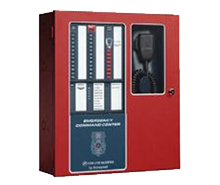 The Emergency Command Center (EEC) is ideal for any building that needs a flexible, multi-zoned and highly configurable fire evacuation and mass notification system.